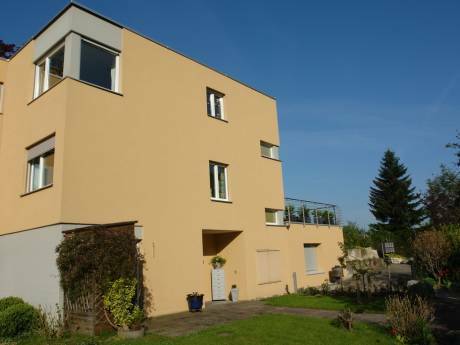 We offer a sunny and beautiful apartment in the center of a little Swiss town. We have three bedrooms, one with one single bed, one with one double-bed, one with a double bed and an other one double bed and space for baby-bed. There is one living room and a large kitchen where all the family can eat. This apartment is near the heart of Switzerland. Mountain and lake destination preferred are in 1 hour to reach. The apartment is the penthouse in a house of four. Garden, barbecue and terrace with contact to the other residents. Young, friendly people. Me and my two daughters (both teenagers) live with cat and dog in this house. I am a personal coach and mental trainer. We enjoy travelling when able to get away. We have not done a home exchange before but are keen to try what sounds a great way to see another country as a resident - and allow someone to see yours. We would expect to arrange an exchange some way in advance in order to get to know our fellow exchangers via email first to see how best we can facilitate their stay in Switzerland. 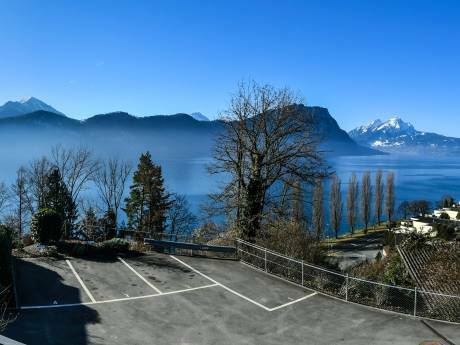 Deally located as a touring base, our town offers easy access to the cities of Basle, Zurich, Berne and Lucerne in around an hour. For teenagers, adventure park are about 15 - 20 miles away with large scale roller-coasters and rides. Trains run until the early hours of the morning so going to a the cinema, theatre or dinner is not a problem.